Sometimes plugin or theme conflicts can disable a WordPress site. Often, renaming the plugin folder can get your site back up, but if you don’t have access to the file system, it’s kinda tough to rename that folder! 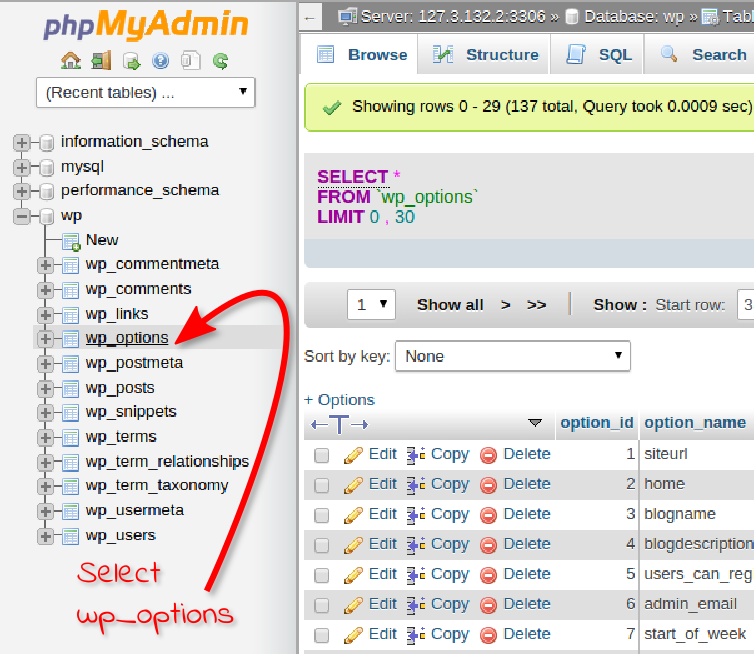 If you have access to the database though, you can try using phpMyAdmin to disable the plugins and/or theme. Here’s a walk-through for that. You’ll need to ensure you’re logged in to phpMyAdmin. If you’re not sure how to access that, you can ask your web host. They’ll usually provide a help page for it. Once logged in to phpMyAdmin, you can switch the current theme as follows. 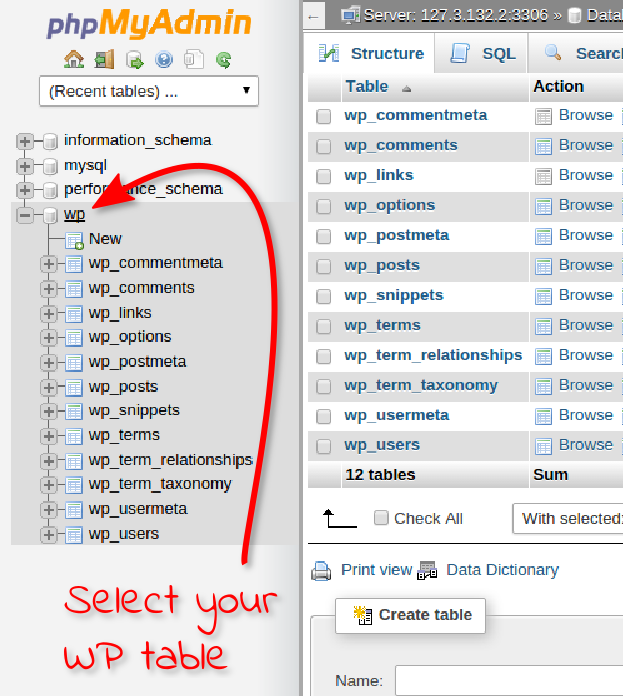 Select your main WordPress table. Select the wp_options table (the name might be different depending on how you or your web host has configured it but wp_options is the most common and default name). 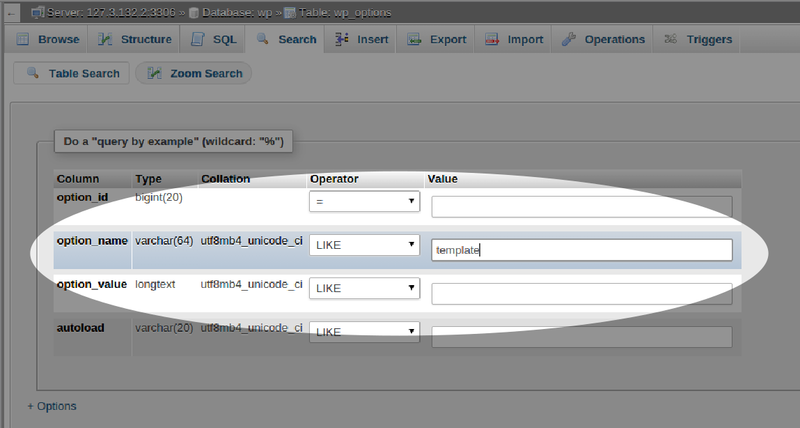 In the options name field, type ‘template‘ and press Enter (or press the Go button). You’ll then see a list of results, there should be just one item there with the option_name ‘template’. Locate the ‘option_value‘ column and double-click that value. Replace that value with ‘twentyfifteen‘ and press Enter. That will set the theme to Twenty Fifteen, which is the best current starting point for trouble shooting. Now, do that once more for the stylesheet. Click the Search tab and in the option_name field, type ‘stylesheet‘ and press Enter. In the search results, change the option_value to ‘twentyfifteen‘. We’ll do that just one more time, for the active plugins. Click the Search tab again and in the option_name field, type ‘active_plugins‘ and press Enter. The option_value for that one should look rather cryptic. Simply select and delete it all and press Enter. That will deactivate all the plugins on your site. With that done, assuming the trouble on your site was due to a plugin or theme conflict of some sort, you should be able to access your site once more. WPMU DEV provides extensive, professional support services for the WordPress platform, backed by many years of experience (they’re the same people behind Edublogs.org).